It's that time of the month again, so let's take a look at the 10 stories/posts that generated the strongest interest of Televisionista readers and casual Google surfers. And it appears, the top story of August will not only become the top story of the summer, but also the top story of the year. Who would have thought? Two of the stories were published in July, one in June, and the remaining 7 are new entries from August. Levi's Jeans Co. may be the first advertiser to create two versions of the same ad to appeal both to straight and gay audiences. "Heroes" star Hayden celebrated her 18th birthday this month. That didn't stop thousands of people from checking out her bikini pics weeks before. The post was published in July and it is down 2 places. 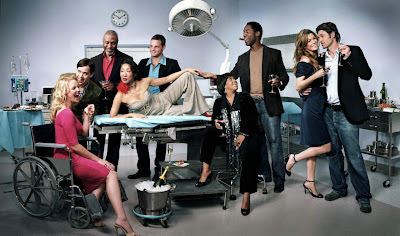 Shonda Rhimes has vowed to make "Seattle Grace" a fun place to visit on Thursday nights again. Apparently, some viewers disliked the drama's recent gloomy tone. One actress is out, two are in. ABC continued to promote the highly-anticipated launch of the "Grey's Anatomy" spin-off with these stills. Gotcha! 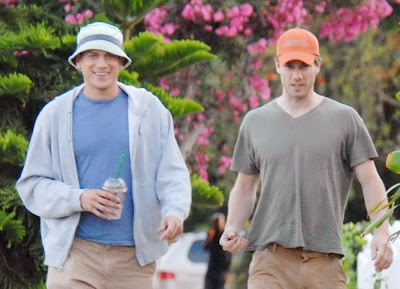 After months of speculation whether the alleged lovers Wentworth Miller & Luke MacFarlane even know each other, the two actors were snapped spending a day together. 5. NEW INTERNS ON "GREY'S ANATOMY"
Isaiah Washington was fired. Although the fans will obviously notice his absence, the writers will try to distract them with the addition of new interns. Although I think the only reason this July post made it onto the list was that a lot of people put "Grey's Anatomy" and "Season 4" into their Google search box, it's nice to know that despite recent criticism people still adore "Grey's Anatomy." The post was published in July and it is down 2 places. "Ugly Betty" has certainly grown in popularity over the past year. As the comedy is introduced to new audiences across the globe, more and more people want to know what awaits that darling Betty Suarez at those cold but oh-so-cool Mode offices. What did I just say? We can't get enough of Betty. 1. 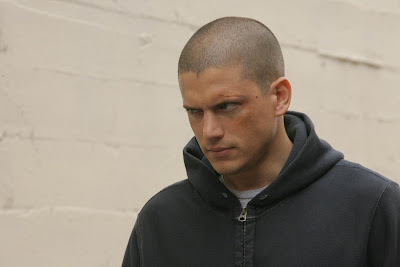 IS WENTWORTH MILLER GAY? 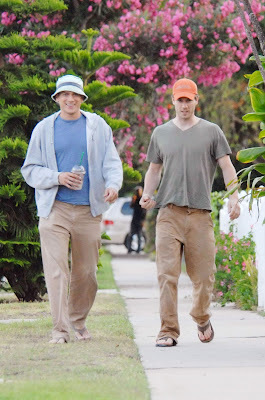 The June post I wrote following the original Perez Hilton report has not only become the leading story of the summer (despite being long gone from the front page), but may now - thanks to recent photographs of Wentworth and Luke - become the biggest story of the year. In August, the post generated 7 times more hits than the #2 story on the list.